Again Mark Dube was all in and again it was a coin flip. Mark held [2s][2c] against Allen Kessler's [Qd][Jh]. 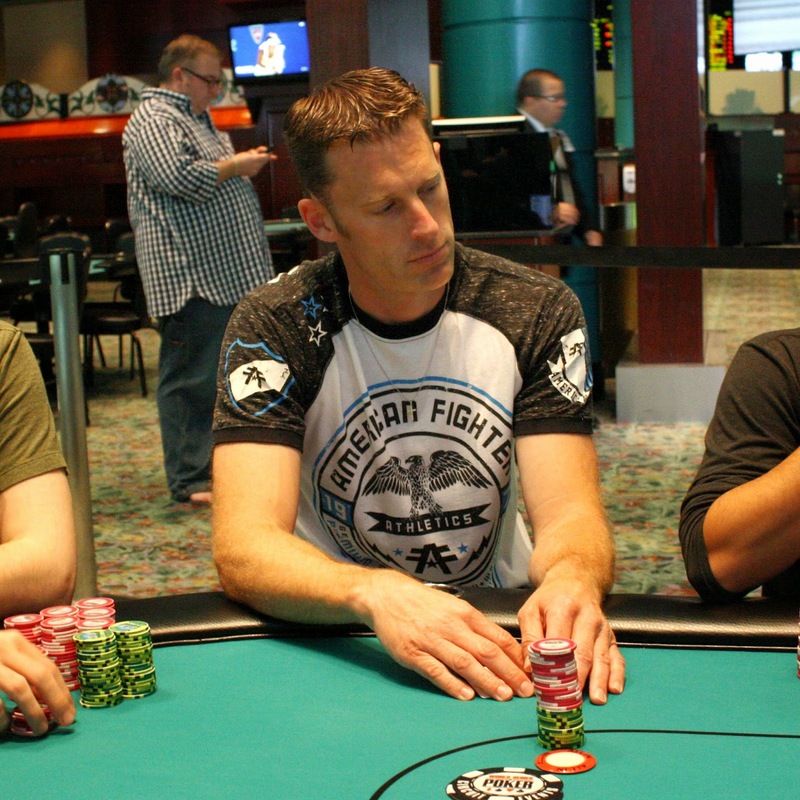 Allen took the lead when the flop fell [Th][Qs][5d], and he turned two pair on the [Js] turn. Mark was looking for a deuce to survive, but the [Tc] river was not what he was looking for. 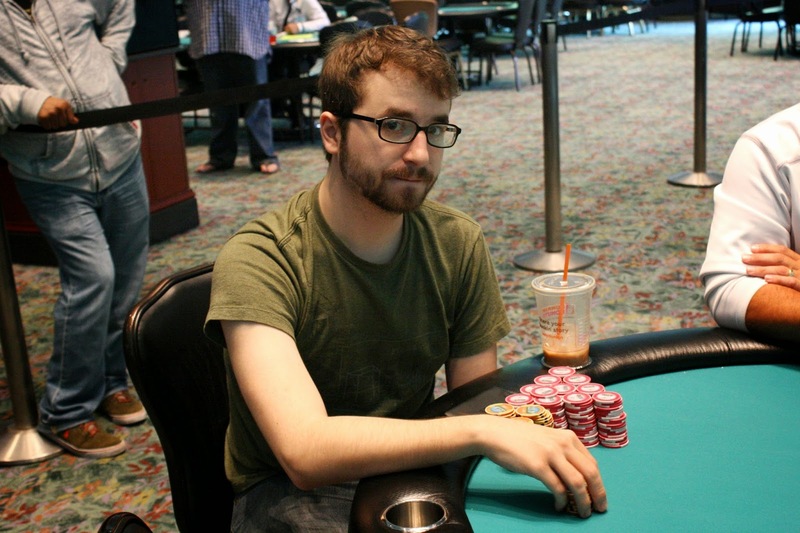 Allen Kessler has won the World Series of Poker Circuit Main Event. He will collect $170,031 along with the title and the WSOP-C Ring. Congratulations, Allen! 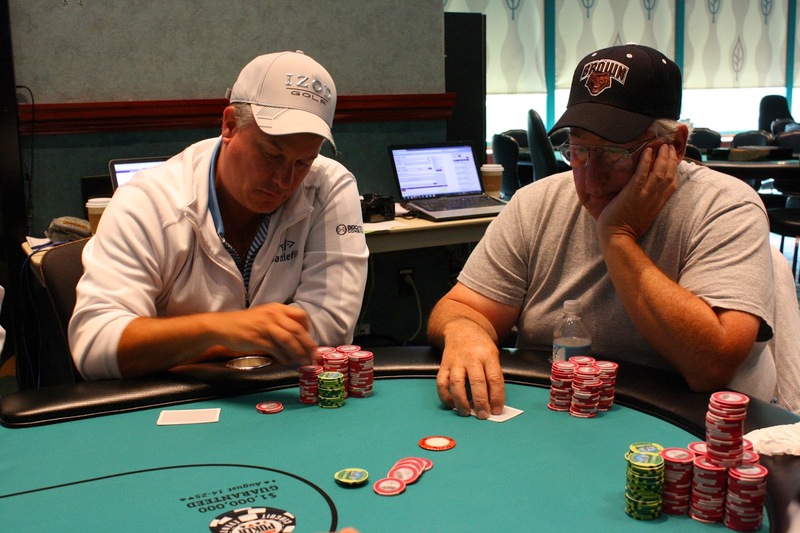 Mark Dube was all in preflop holding [6s][6h] and was up against Allen Kessler who held [Ad][Qc]. 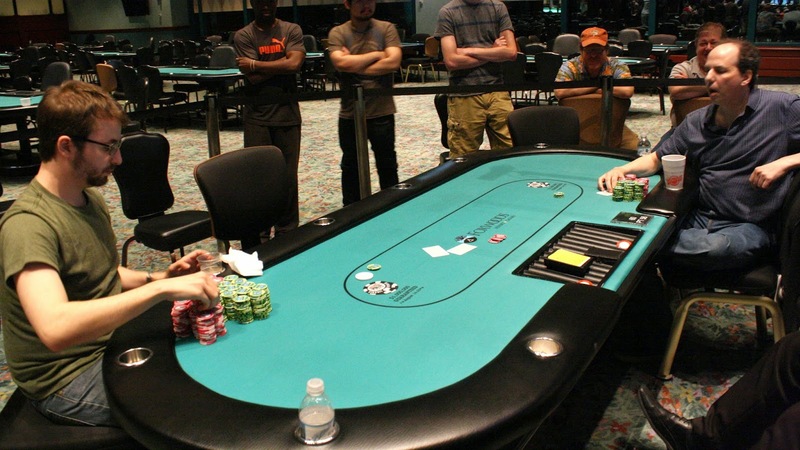 It was another flip for the title, but this time Allen had the chip leader. The [Jh][3d][7h] was no help for either player, and most of the rail rooted for Mark's sixes to hold up. They did through the [4s] turn and [8d]. Mark counted down his stack and found 1.85 million, which means he now has over 3.7 million to Allen's 6.8 million. 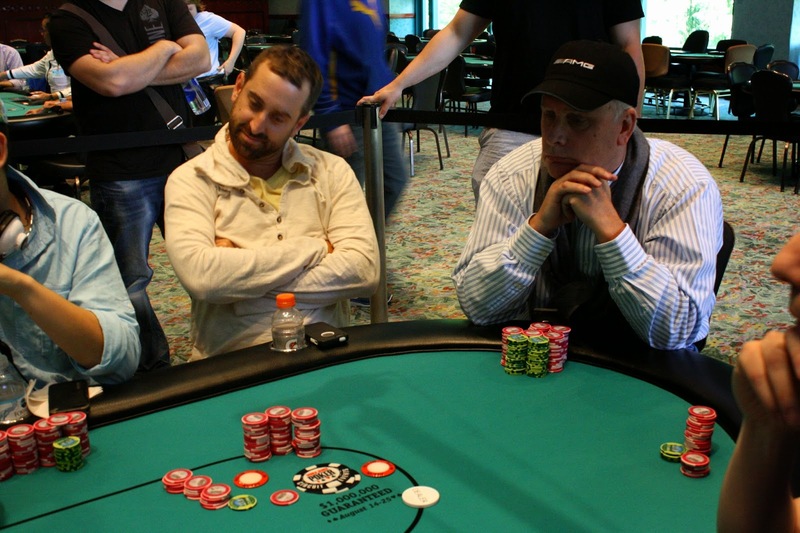 Allen Kessler raised the button and Mark Dube moved all in, having Allen covered. Allen snap called to see Mark flip over [As][9s]. It was a race as Allen had [7s][7c], and Allen pointed out that Mark's been running well in these spots. 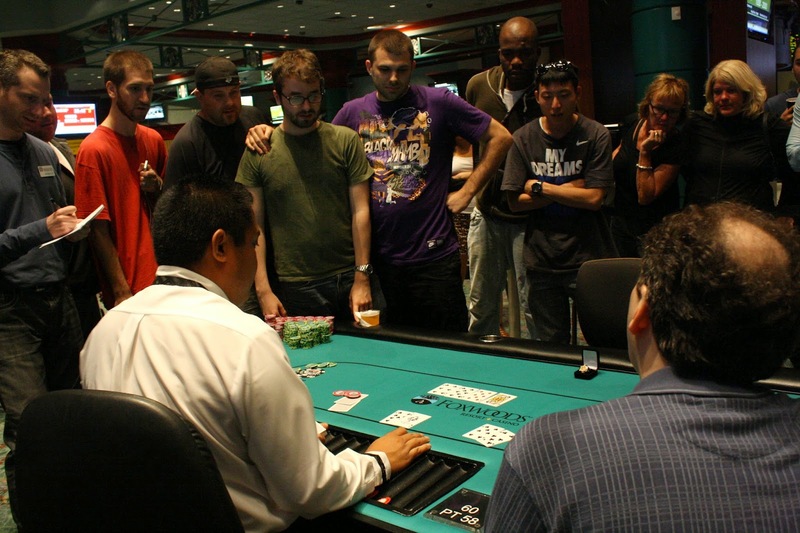 With a lot of Mark's supporters surrounding him, the dealer ran out the [6c][8c][8d][Qc][5c] board. Allen's [7c] made him a flush, and he will double his 2.54 million stack to get the two players very close to even. 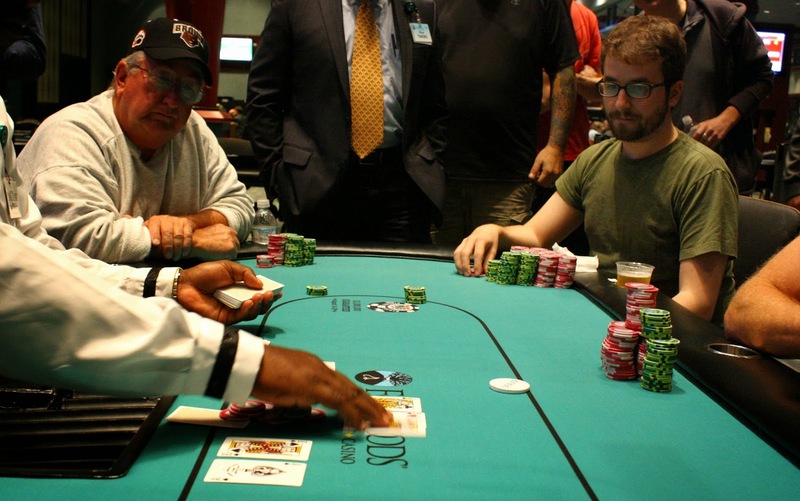 Greg White was all in preflop holding [Qd][Js] and was up against the [6s][6c] of Mark Dube. Greg was hoping his bad luck would finally turn around on this hand, and it looked like it would when the window card was the [Qh]. Unfortunately, there was a six right behind it as the dealer spread [9c][6h][Qh]. The [4s] turn meant Greg was drawing dead, and he was out of his chair before the [Jd] hit the river. The board read [9d][Js][Qd][Ac] and Allen check-called a 530,000 bet from Mark Dube to see a [6s] river. Allen checked once again, and this time Mark bet 1 million. Allen reluctantly called and asked Mark if he had a straight. Mark said he did as he flipped [Th][8h]. Allen claimed to have two pair, and the two discussed whether Allen would have called a shove. After the hand, Mark extended his lead to 6.5 million while Allen is just above 2.5 million. In two hands, Mark Dube has dispensed of Hilary Dombrowski. Both hands were races, but luck favored Mark. On the first hand, Mark was allin holding [As][Qd] against Hilary's [4s][4d]. 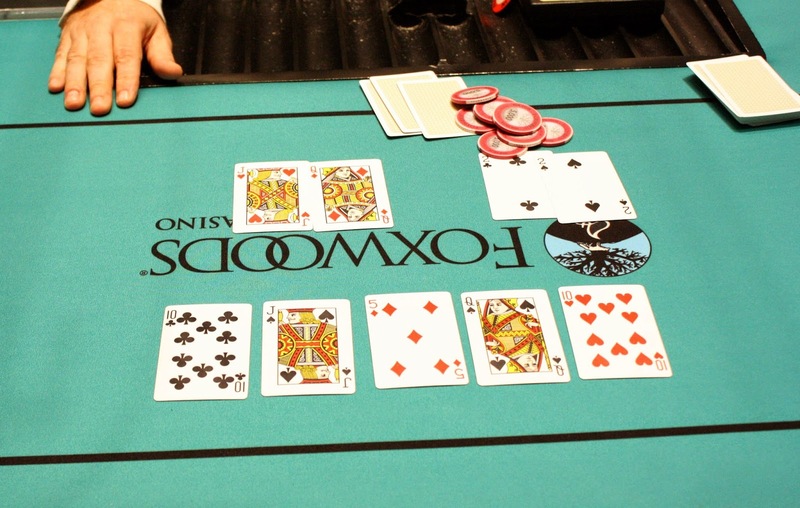 Mark didn't waste any time winning this one as the flop fell [Ah][2d][8s]. 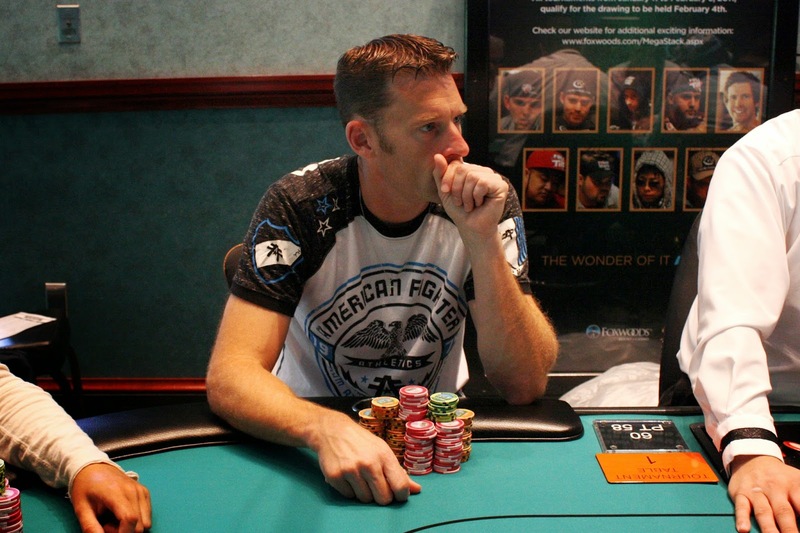 The [3c] turn and [Jd] river changed nothing, and Mark earned a double up to over 4 million. Hilary found himself all in a few minutes later with [3h][3d] against Mark's [As][Ks]. Once again, Mark drilled the [Qc][5h][Kd] flop, and didn't look back as the board ran out [4d][8c]. Hilary will finish this tournament in 4th place, good for $56,940. 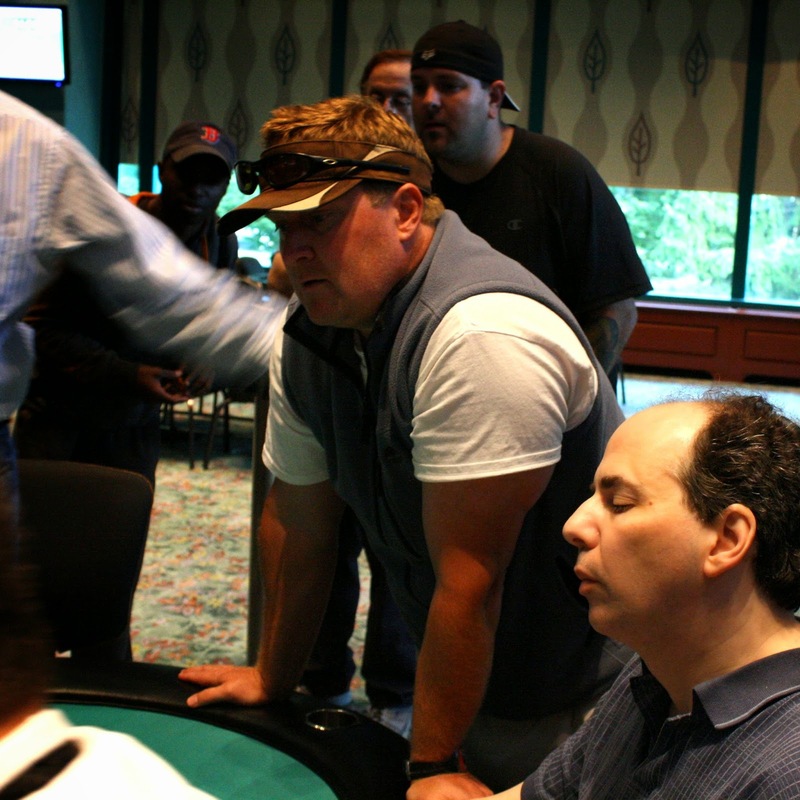 Allen Kessler raised under the gun and Mark Dube 3-bet from the small blind. After Greg White folded, Allen moved all in and Mark snap called. Unfortunately for Mark, his pocket jacks were crushed by Allen's [Qh][Qc]. The [3h][7c][5h][6s][Td] board brought little drama and Allen will double up to over 5 million chips, and is now the tournament chip leader. Under the gun, Mark Dube raised to 170,000. Greg White was on the button and 3-bet to 520,000. Action folded back to Mark who thought for a moment before moving all in for 2.22 million, which Greg snap called. Greg was ahead once again with [As][Qh] against Mark's [Kc][Jh]. Greg begged for the best hand to finally hold up, but the dealer did not oblige as he spread the [7s][Js][Jc] flop. Greg did pick up outs when the turn fell [Ad], but the [4s] river was not what he wanted to see. He reluctantly shipped the majority of his stack over to Mark. Within the next orbit, Greg doubled up his remaining 710,000 stack through Mark when Greg's [3s][3d] held against Mark's [Kh][8s] through a [Ah][6d][Qs][3h][2c] board. Greg now sits on almost 1.5 million. Allen Kessler was all in preflop holding [As][Jc] and was in bad shape against Greg White's [Kh][Kd]. Allen was putting his jacket on to leave as the board read [6h][3h][8c][9d] by the turn. But the [Ad] hit the river to grant Allen a reprieve, doubling him up to 1.8 million with less than 5 minutes until dinner break. 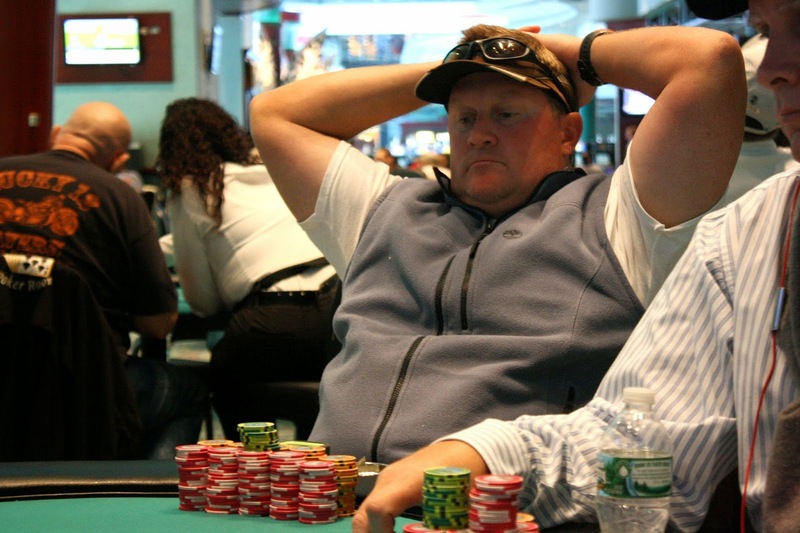 Mark Dube opened the button and Allen Kessler moved all in for 1.14 million. Mark asked for a count and decided to make the call. 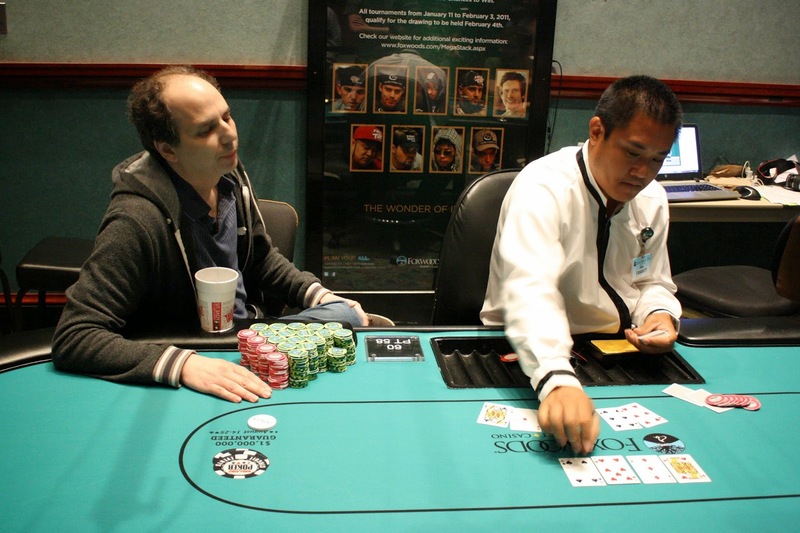 Allen said he had a bad feeling about the hand, but the [2c][3h][7h] flop kept ace king in the lead. The [5h] turn, however, opened up a slew of outs for Mark, as he picked up a flush draw to go along with his jack. The river was the [Ks], pairing Allen's hole cards and earning him the win. 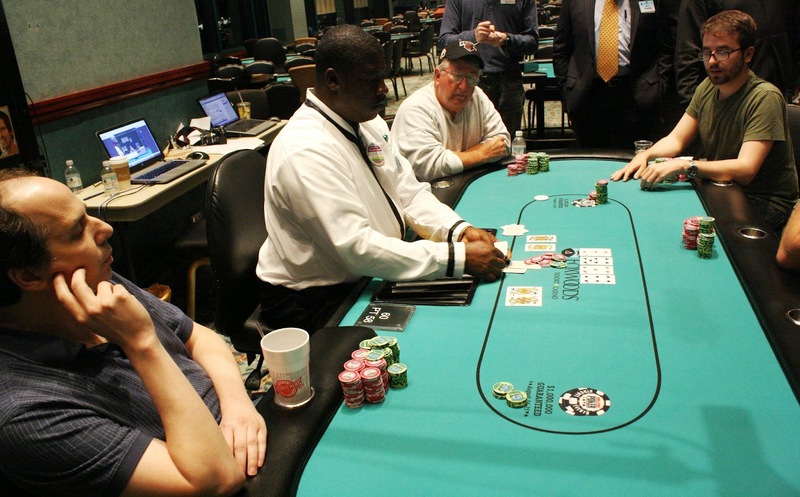 The hand put these two opponents at close to even as they both now sit on approximately 2.4 million. Oh a [4s][Qs][Td], Hilary Dombrowski was all in holding [Qd][Ts] and was up against Greg White's [Ah][Qh]. Hilary would need to dodge three outs, and he did just that when the turn and river fell [5d][7d]. 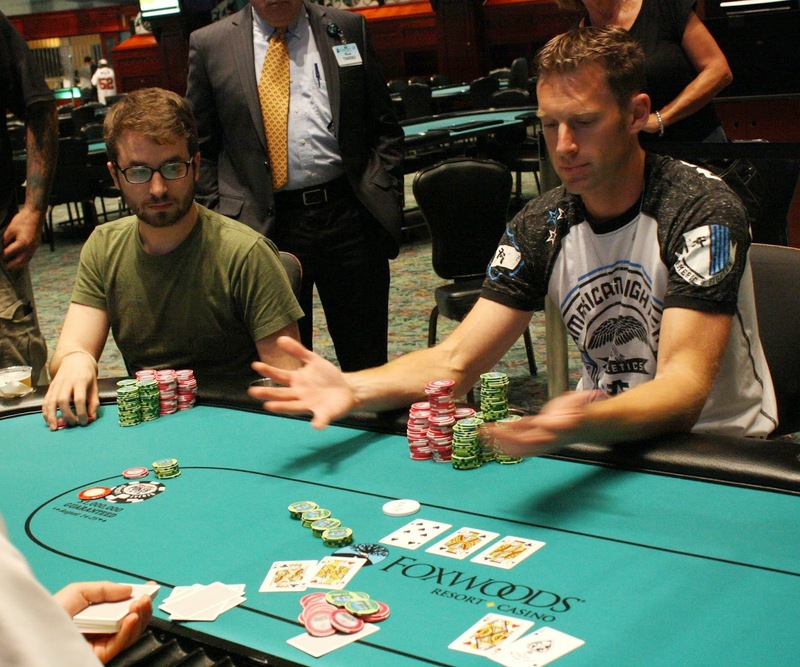 Hilary increases his stack to 2.3 million while Greg gets knocked down to 2.25 million. 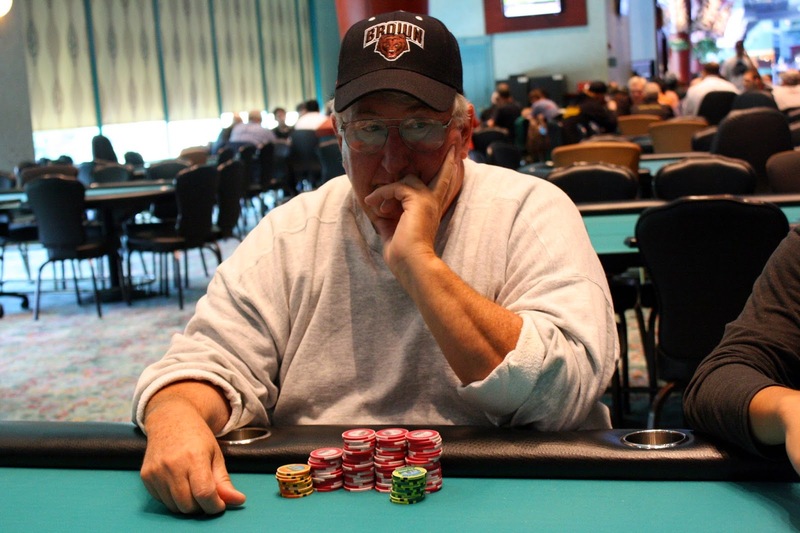 Allen Kessler was all in preflop holding [As][7s] and was up against Alex Rocha's [Ah][2s]. Allen had a little over 600,000, and if he won Alex would be crippled to a handful of blinds. The [5s][Th][Kc] flop kept Allen in front, but the [4s] gave Alex a bit of hope. With six outs going to the the river, the dealer dealt the [Qh]. 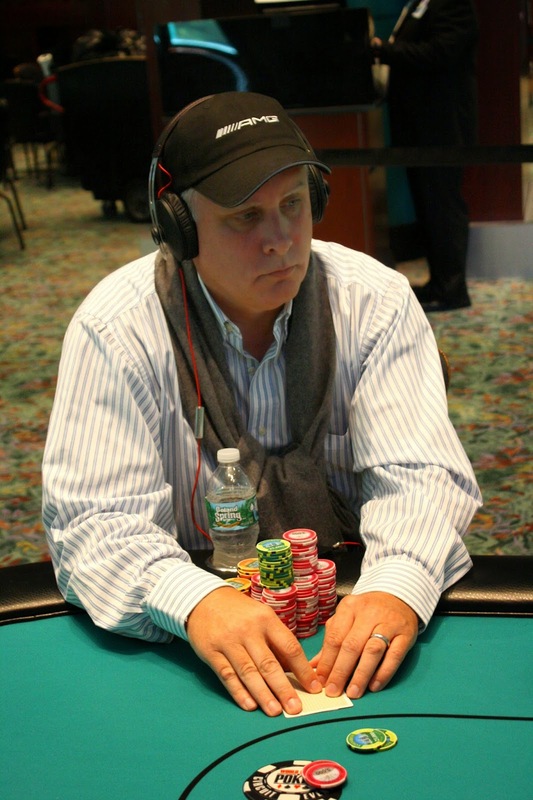 Alex got his last few blinds in with [Ad][7d] against Hilary Dombrowski's [As][9h]. The board ran out [Qc][Qh][9c][3d][Jd] to send Alex to the rail in 5th place. He will collect $42,785 for his efforts. 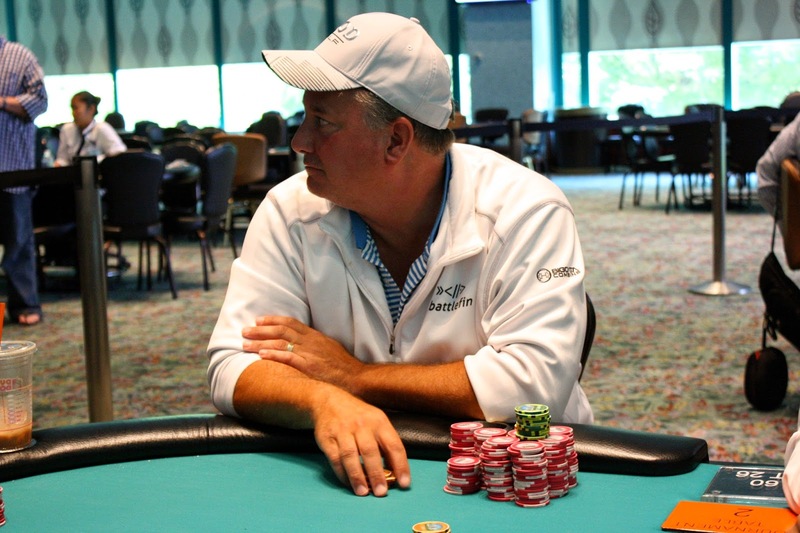 On a [6c][Ac][Jc] board, Michael Quibble bet 200,000 before Mark Dube raised to 525,000. Michael moved all in and Mark snap called. Michael was in bad shape with his [Ad][Th] as Mark had flopped a flush with his [Qc][5c]. Michael picked up four outs when the turn fell [Td], but the [9d] kept the flush in front. Michael will earn $32,662 for his 6th place finish today. 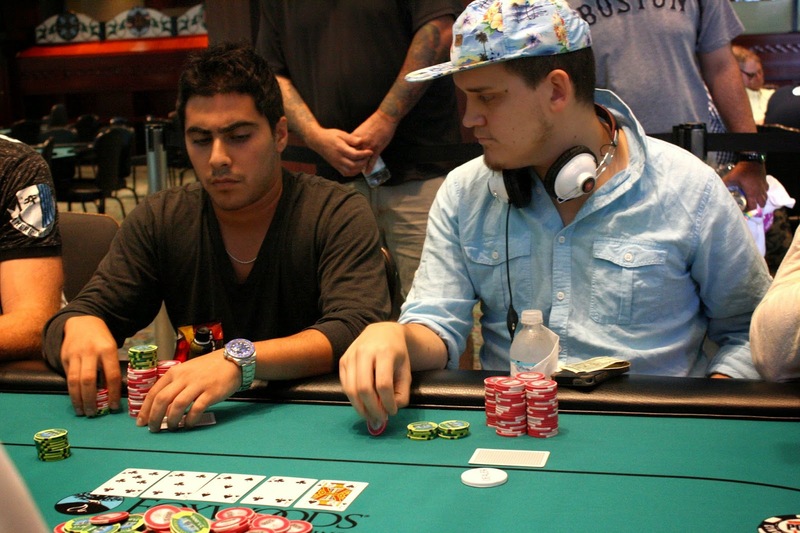 On a [5h][7s][8h] flop, Mark Dube bet out and was raised by Kevin Darouvar. Mark 3-bet all in and Kevin made the call, and it was a virtual coin flip. Mark held [Kh][Kd] for an overpair and had a lot of outs to fade as Kevin held [Jh][9h] for a double gutter with a flush draw. The [Qs] changed nothing, and the [Jc] river gave Kevin a losing pair of jacks. Mark will win a monster pot to put his chip count at 4.1 million. 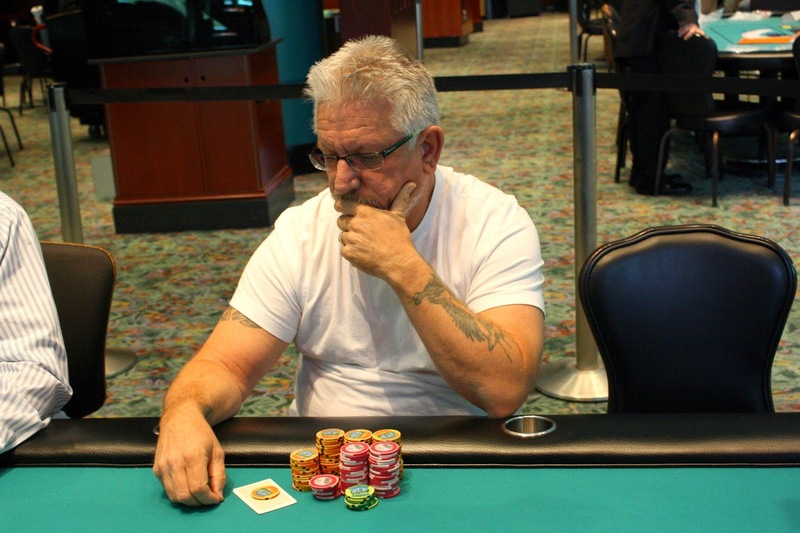 Meanwhile, Kevin will be eliminated in 7th place for $25,306. 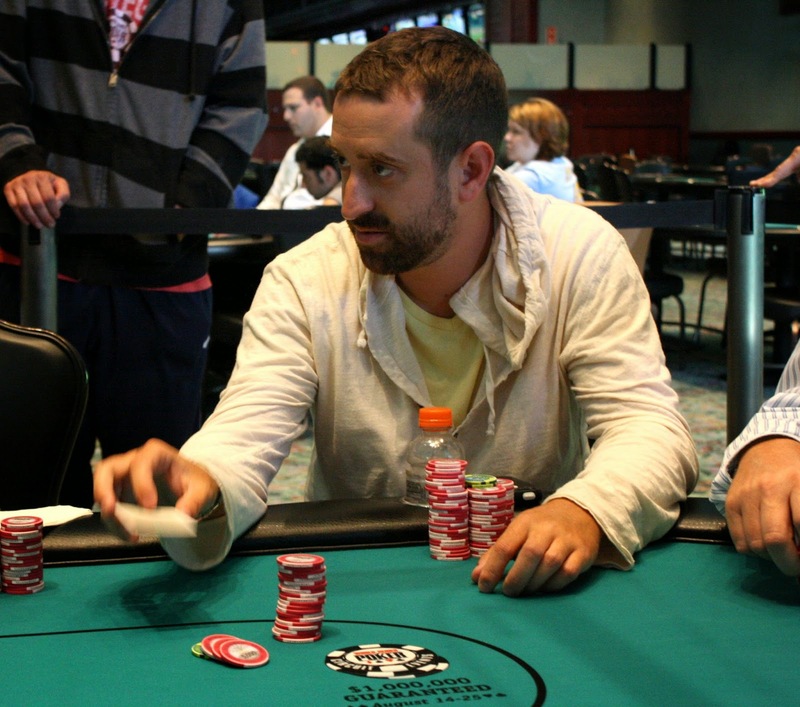 From middle position, Matthew Zola moved all in. Action folded to Mark Dube who moved all in over the top. The remaining players folded, and it was a race with Matthew's [Ad][Qh] against Mark's [7h][7d]. The [5d][Jc][5h][Js][Kd] board offered no help to Matthew, who will be eliminated in 8th place. He will collect $19,851 for his efforts. 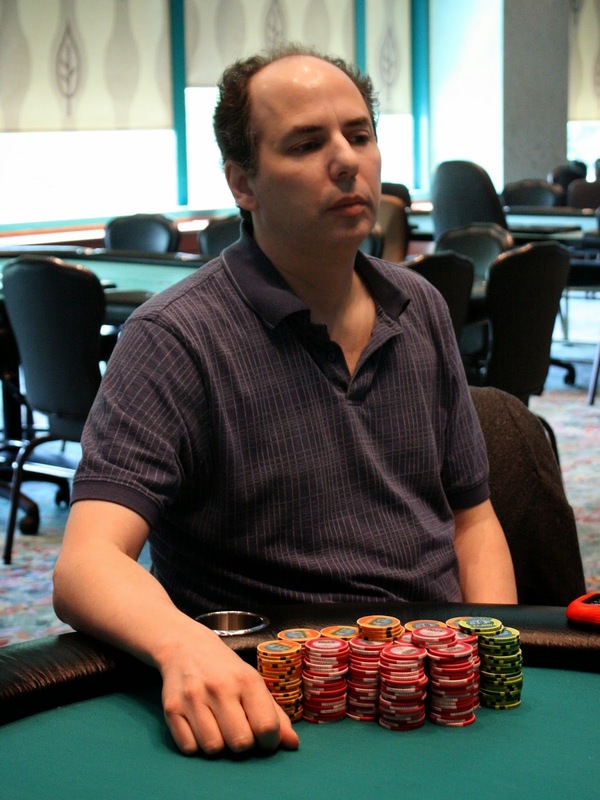 Mark Dube opened to 80,000 and made the call after Matthew Zola moved all in. Matthew had [As][Ad] to Mark's [9h][9c] and the aces made top set on the [Ac][8h][Jd][3d][4h] board to double Matthew up. He now sits on 575,000. 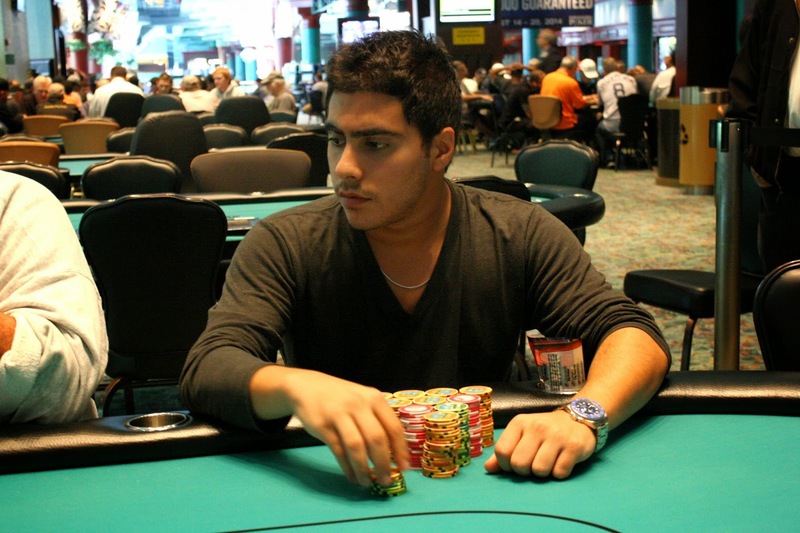 Kevin Darouvar opened to 105,000 at 20,000/40,000 blinds, and Alex Rocha moved all in over the top. The rest of the table folded around back to Kevin, and he eventually made the call. The [9h][Kd][Qd] flop was no help to Kevin, and the turn came the [2s]. Allen Kessler commented that it was a pretty safe board, but Alex wasn't ready to breathe easy, yet. The dealer placed the [5s] on the river, giving Alex another double-up. He is now up to 600,000. 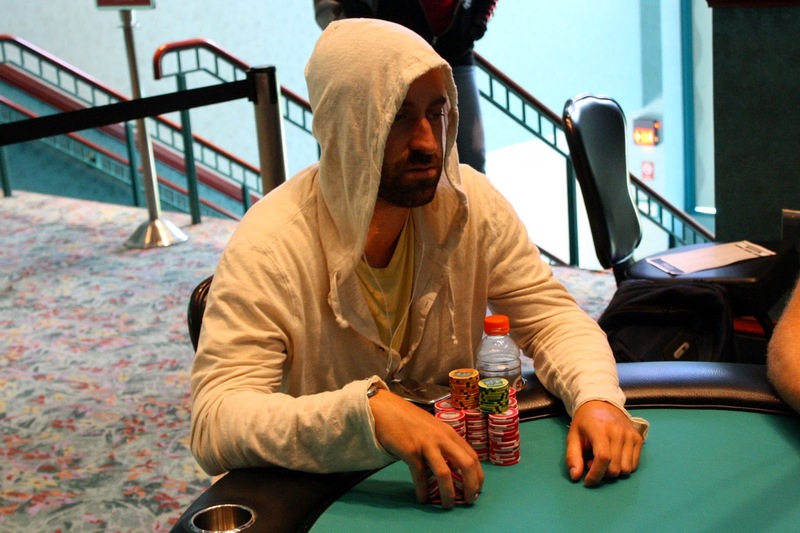 On a [3h][Qh][9d] flop, Michael Lavoie moved all in and was called by Hilary Dombrowski. Michael had just a gut shot with [Jh][8d] against Hilary's [Kc][Qc]. The [8h] gave Michael some more outs, but the [6c] river was not one of them. 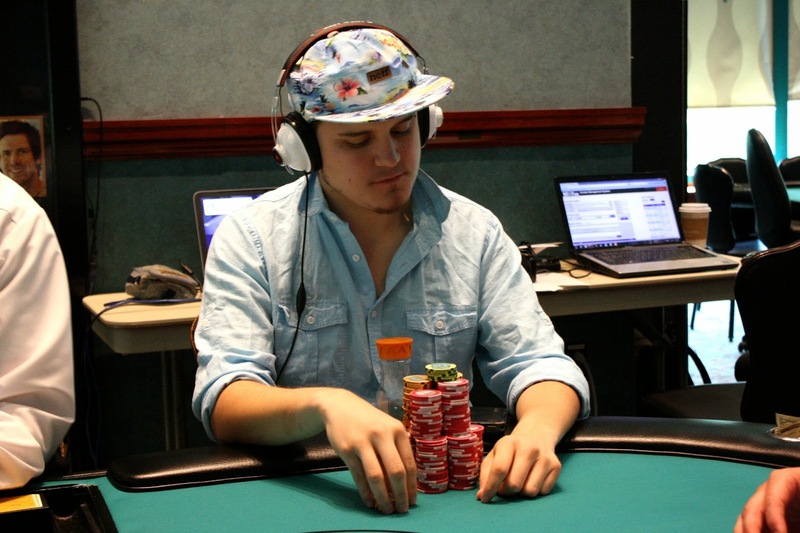 Michael will exit this tournament in 9th place, good for $15,837. 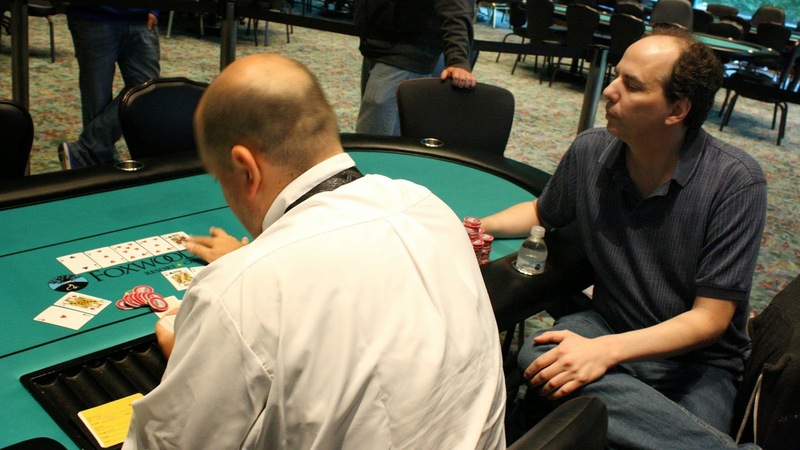 Matthew Zola has doubled through Michael Quibble. Matthew was all in preflop holding [As][4s] against Michael's [Kd][Qs], and Matthew hit trips on the [4h][4c][3c] flop. The [Ac] gave Matthew an unbeatable full house, and the [Th] river meant Matthew will double up to over 400,000. The [Td][Qh][Kd] flop put Michael in front, and Bryan would need to catch a seven or runner-runner diamonds to survive. The [6c] turn left Bryan drawing to his two outs, and the [8d] just missed it. Bryan will collect $12,732 for his 10th place finish today. 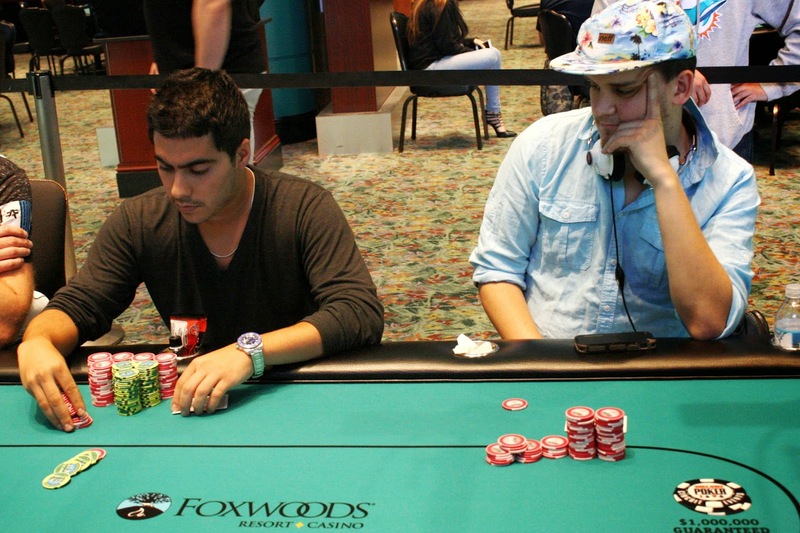 At 20,000/40,000 blinds, Mark Dube raised to 80,000 before Alex Rocha moved all in for 285,000. Mark made with [As][Qd] but was behind Alex's [Ac][Kc]. The [6d][8d][4h][Tc][Td] board was no help to either player, and Alex's ace king high will take the pot. 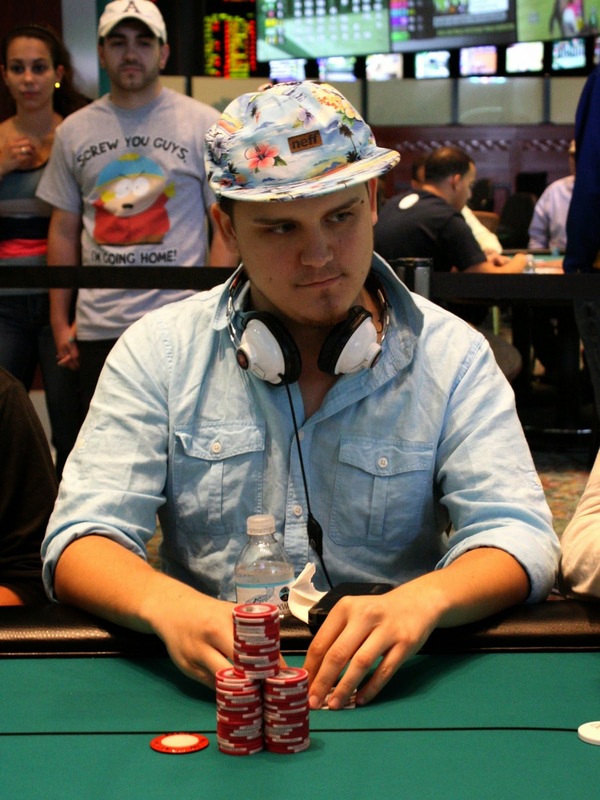 Bryan Leskowitz raised preflop and was called by Hilary Dombrowski. On a [8h][7d][Js] flop, Bryan bet and Hilary called. The [2d] hit the turn and again Bryan bet, this time for 140,000. Hilary moved all in, having Bryan covered. Bryan thought for a long time and made what he implied was a big laydown, verbally putting Hilary on a set. Though Bryan pleaded his opponent to see his hole cards, Hilary denied. Bryan is now short stacked with 420,000. The blinds have increased to 20,000/40,000 with a 5,000 ante. The final table is still 10 handed with 10 minutes to go at 15,000/30,000 blinds with a 5,000 ante. 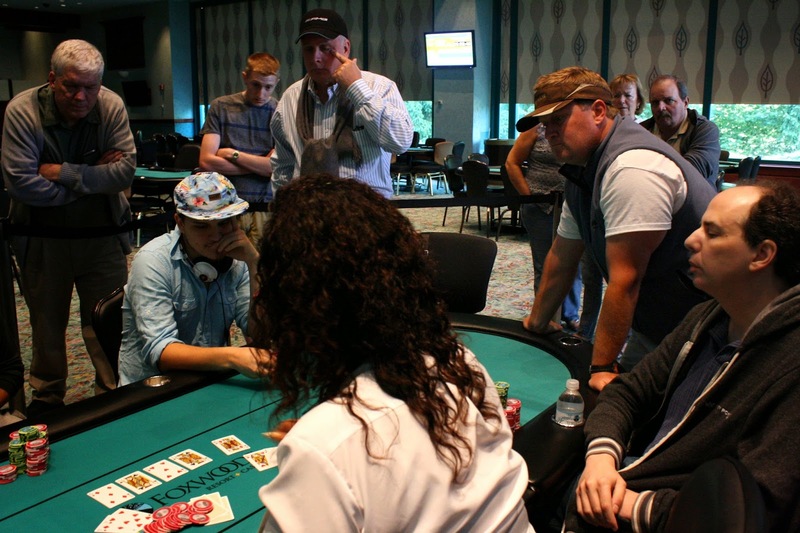 Both Hilary Dombrowski and Greg White have been all in preflop in the last few minutes, but neither player was called. Hilary showed pocket kings while Greg showed ace king. On a [7c][5c][5s][4c] board, Kevin Darouvar bet 115,000 and Alex Rocha made the call. The two saw a [Js] river, and Kevin again bet, this time 225,000. Alex went into the tank for awhile and studied his opponent, but eventually made the call. Kevin showed him the bad news as he held [4s][4h] for a full house. Alex sent his cards to the muck, and Kevin will pad his stack to over 1,700,000. Meanwhile, Alex has dropped to around 400,000. 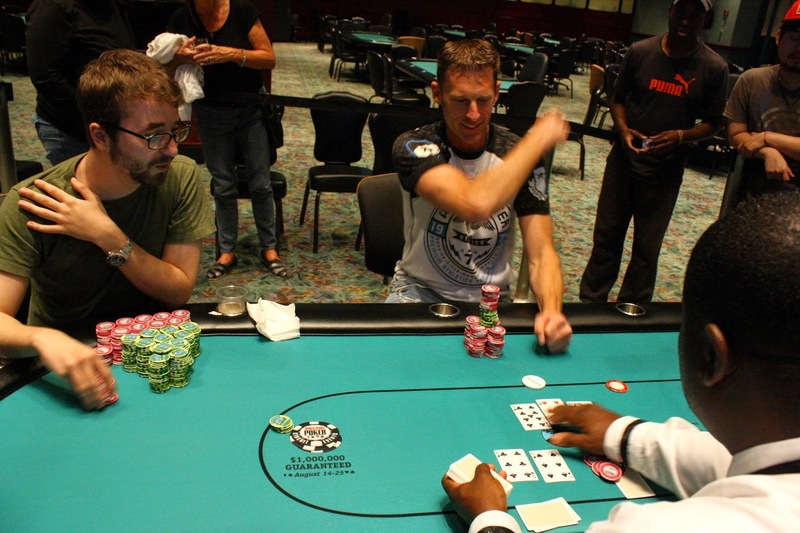 In a blind vs. blind battle, Guy Smith was all in holding pocket jacks against Michael Quibble's pocket queens. The bigger pair held up on a [7s][8c][4c][9h][8s] board, and Guy will exit the tournament in 11th place, good for $12,732. With Guy's elimination, the unofficial final table is set. Names and chip counts will be posted shortly. Event #11 $365 NLH Final Table is now under way. In the first five minutes of play, Randal Sklar was all in in a three way pot holding pocket queens against his opponents jacks and nines. 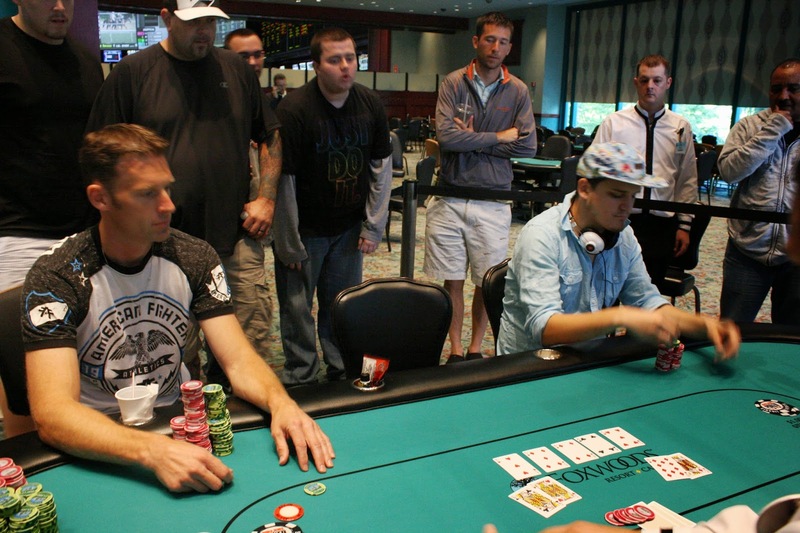 One of his opponent spiked a nine on the river to send Randal to the rail in 8th place. 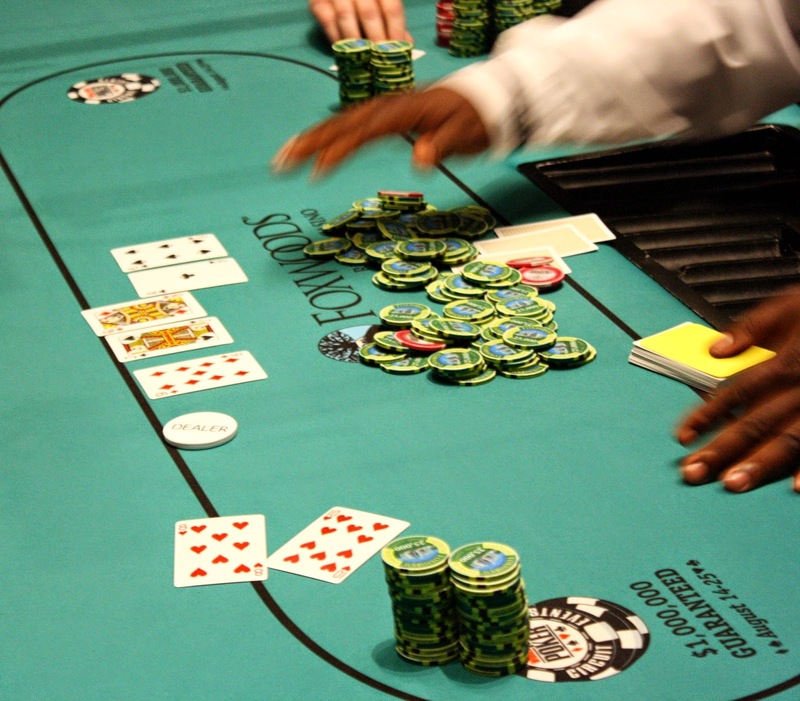 The last event of the series, Event #12 $365 NLH Turbo, is now under way. 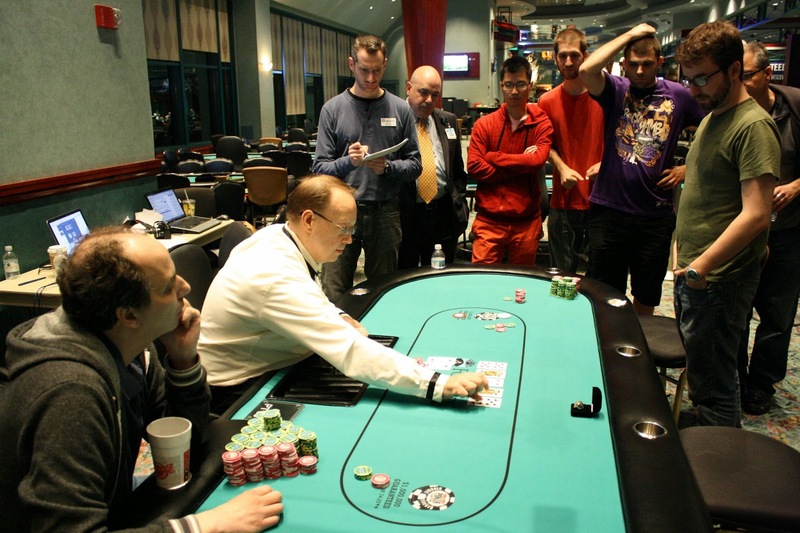 This event features 10,000 in starting chips and 20 minute levels throughout the tournament. This is a one day tournament and is the last chance to earn points for WSOP Circuit Casino Champion. 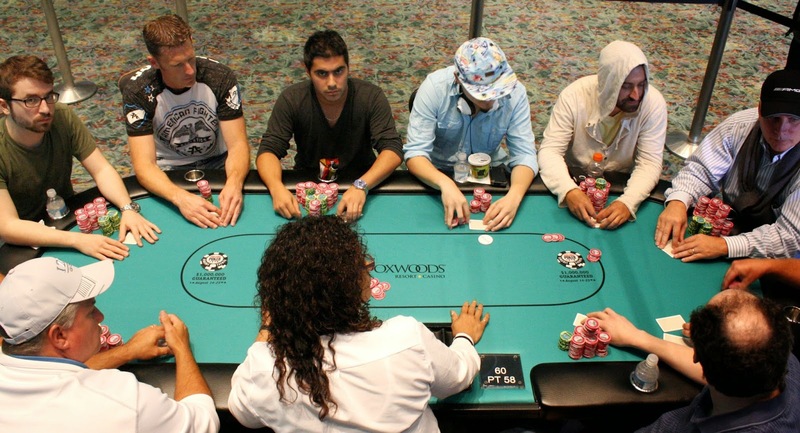 At 12pm, Event #10 $1,675 Main Event will restart with the final 15 players. 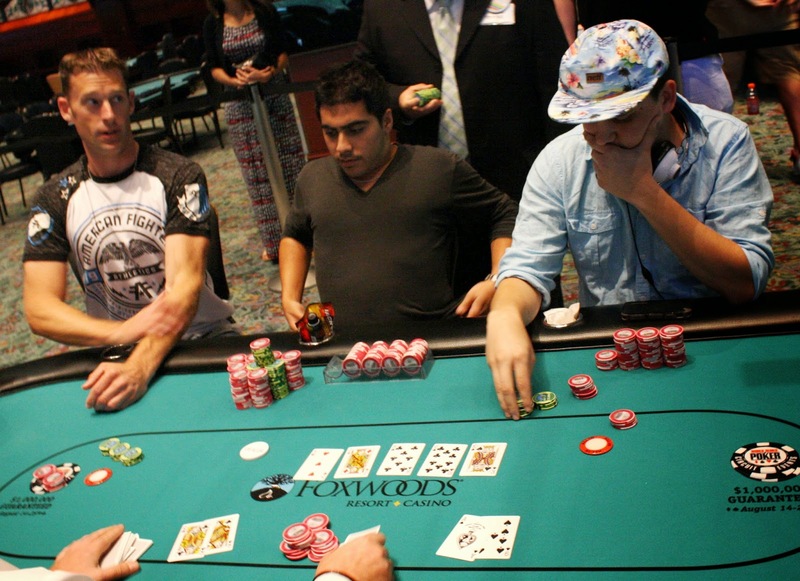 We will be streaming a featured table of the Main Event on www.FoxwoodsLive.com as they play down to a champion. 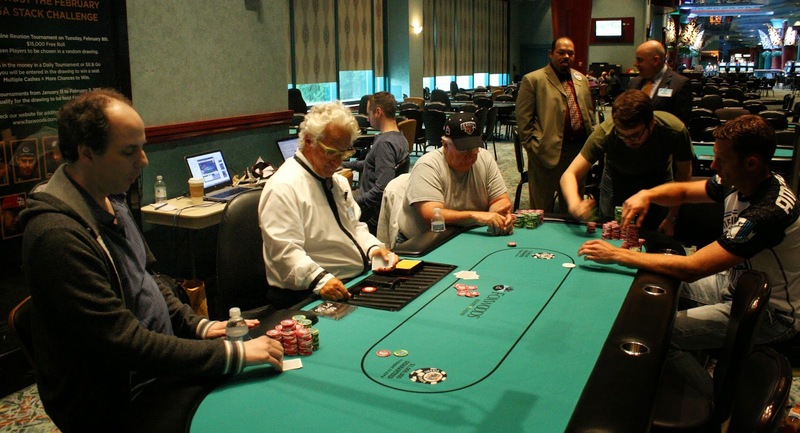 At 1pm, Event #11 $365 NLH will resume with the final table. Bryan Leskowitz raised before Lawrence Greenberg 3-bet. Action folded back to Bryan who moved all in, and after a player in the middle got out of the way, Lawrence snap called. It was a huge cooler for Brian as he had [Kh][Kd] against Lawrence's [Ah][Ad]. 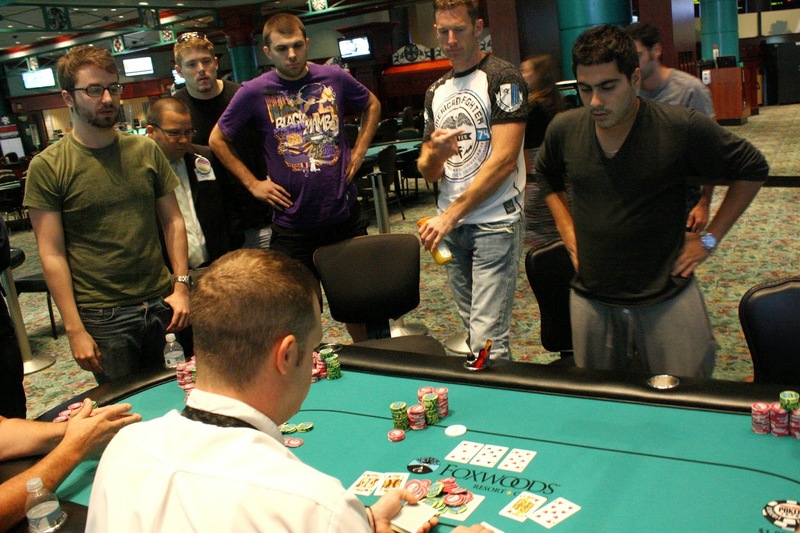 Amazingly, the dealer brought Bryan's two outer when the flop fell [Js][Ks][Ts]. Neither player held a spade, but Lawrence did have six outs. The [Qd] turn now gave Lawrence the lead, and again Bryan was behind. This time, Bryan had ten outs to a full house or better. Amazingly, the dealer rivered the [Jc] to give Bryan the winning full house. Lawrence will exit this tournament in 16th place, good for $8,620.